I don't know, it could have been a bad tracking pattern of my patella during the bottom of a squat, but lately, heavy squatting for reps always seemed to leave my knees aching. It happened all the time; when I descended the stairs, walked out of the bed, drove a car. Something was seemingly wrong. I tried a couple of squatting variations apart from the regular back squat, but no matter how I squatted, the knees kept aching. I did reduce the squat poundage to see if it works, but there's a limit to how much we can reduce the weight on the bar. Squatting super light for the rest of my life wasn't an option. Neither was quitting to squat. Sifting through ideas in my mind, I pounced upon the thought of something I've seen most successful older lifters squat like without much problems. Squatting to a low Box. This approach entails keeping a low, about 8 to 10 inches high box (I used a decline bench with its lowest part below me). Every squat rep included descending towards the box under control, while trying to sit back, and instead of resting there, immediately reverse the movement and squat back up explosively. Now, what good did this small change in my squat set up achieve? The mere act of 'going down to something', a box in this case, instructed my legs to contract in unison among all the muscles of the quadriceps and the hamstrings, instead of just dropping down folding at my knees and my hip. And this is where it made a difference in the way my knees felt. 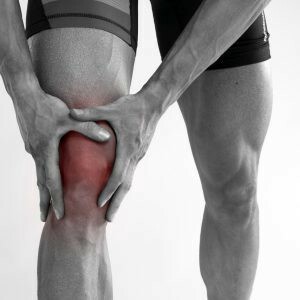 Since the surrounding musculature around the knee joint was now sufficiently activated, giving the knee joint complex more stability. Mentally cuing oneself to sit down and back and not simply to sit down allows for a more vertical shin than when one simply sits down without giving much attention to the movement of the hip. Additionally, sitting back also activates more of glutes and hamstrings imparting even more stability while 'in the hole'. Rather than being able to visualize only pushing yourself up during the concentric part of a squat, squatting to a box allows one to visualize, pulling oneself to the ground. You then grip the ground harder with your feet and have a more 'closed kinetic chain' squat than when you have nothing to squat to. 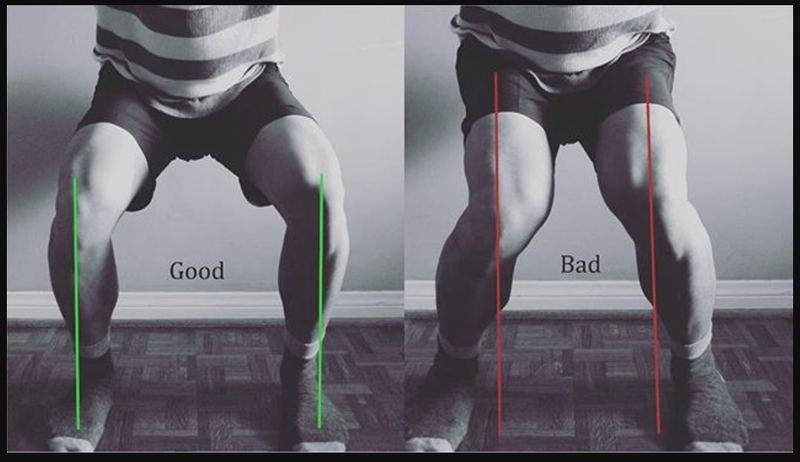 Another much overlooked faulty pattern of knee movement is the mild bowing in of knees during the eccentric movement, pointing towards weak abductors. The presence of a box somewhat between your heels ensures your knees always move outwards along the outsides, a more natural and pain free knee path. You generate overall more total body tension making the squat safer and more effective. Suffice to say I had found a robust solution to my aching knees and a fix to clean-up the glitches in my squat form. Feel free to use the Squat To Box Style on any squat variation: Front Squats, Zerchers, Pistols, Safety Bar squats... just find a box low enough to suit your current ankle and hip mobility levels and you are ready for the game. If you would love to read more Squat improvement strategies like this, let me know in the comments.